NetEnt, or Net Entertainment as it was originally known, is one of the pioneers of the online casino industry. Offering a huge range of games from live casino options through to virtual table games. It is really in slots that NetEnt’s strengths truly lie. These games are offered in a wide range of themes complete with top quality graphics and numerous bonus features. In addition, the company is great for low budget players. Offering all of their games in affordable options, all accompanied by excellent odds. In fact, no matter which game you’re playing, the odds are some of the best in the industry. 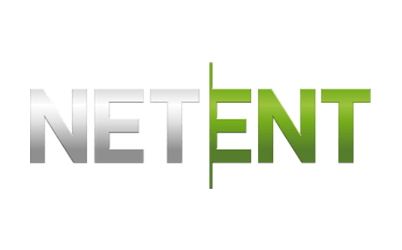 NetEnt is a Swedish provider that was established in 1996, right before the huge boom in online gaming. Because of this they have been able to influence the way the industry works, growing and shaping itself alongside player demand. In fact, their roots are in the traditional, land-based casino industry reaching back as far as 1968. That kind of experience puts them in an excellent position to make positive forward leaps. NetEnt’s first online casino was launched in 2000, not too many years after its inception. From that point on, the company continued to improve, reaching numerous milestones and making a name for itself in the industry. During 2003 and 2004, NetEnt proved its worth by providing a number of casino modules to various international customers. Quickly gaining profitability as it did so. In 2005, an important milestone was reached: they obtained a gaming license from Malta. 2010 saw the company receive another license, this time from Alderney and at the same time they released of one of their greatest slots, Gonzo’s Quest. In 2011, the company launched its mobile casino. Bringing it up-to-date with the rest of the online gaming world whilst simultaneously expanding its reach into Italy. In the following years, the company has continued to expand, even into areas of the US. NetEnt’s forte lies with its eclectic mix of slot games. The company uses a number of favourite characters in its portfolio, including such icons as Dracula and the Invisible Man. However, they have also created a number of unique slots such as the previously mentioned Gonzo’s Quest and equally popular games such as Starburst which harks back to the more classical slot era. It’s not only the excellent gameplay that makes these slots stand out, it is also the fact that they all have a payout percentage between 95% and 98%, ensuring that players are well taken care of. To add to the enjoyment of their games, all the slots are available across multiple platforms, including land-based casinos and the online gaming universe. NetEnt has created a dedicated software programme — NetEnt Touch — to ensure that slot games originally designed for desktop lose nothing in their transition to the mobile platform. NetEnt also has a number of top level progressive jackpot slots with their most lucrative being Mega Fortune. This slot game has paid out millions numerous times. And has been so successful with slot players that it has spawned a sequel in the shape of Mega Fortune Dreams. Besides slots, NetEnt has both a comprehensive virtual table game collection and video poker options. All operating smoothly and with great graphics. One bonus here is that they can all be accessed in demo mode which allows new players to get accustomed to the games before playing with real money. There is also the NetEnt Engage software that helps operators create an even more thrilling and immersive player experience. This allows players to get real-time rewards, cross-selling between games and the ability to create free rounds campaigns. All specifically designed to award players and keep them coming back for more. This creates a very positive player experience. NetEnt’s other crowning glory is their NetEnt Live platform: a live casino offering fully interactive table games. This area of the company is still expanding but there is already an impressive range of live blackjack and roulette games available. All the games have a variety of different tables, each with different wagering limits attached. These games are also available in 25 different languages, alongside the currencies to match. They also offer a number of company-specific promotions for the games enabling online casinos to give out a wide range of incentives to their players. These, coupled with the promotional offers already on offer at the casino, make for great opportunities. Awards don’t necessarily make or break a company, but they definitely go a long way in showing how good they are. NetEnt does very well in this department as it enjoys a vast array of accolades to its name. Thanks to numerous industry awards, NetEnt now has the proof that they’re really doing things the right way. The biggest award ceremony is the EGR Awards where NetEnt has been a winner in various categories since 2010 right up to 2017. These wins have included such things as Innovation in RNG, Innovation in Slot Provision, Mobile Supplier of the Year and Slot Provider of the Year, among many others. NetEnt has also won a number of awards in the WiG Awards. With 2015 seeing them winning a Women in Gaming Award for the second time. 2014 saw them taking home an award from the Global Gaming Awards for the best Digital Gaming Innovation of the Year. That same year was their first WiG Awards win. And also an IGA Awards win for the much coveted Innovator of the Year award. With so much going for them already, these awards simply show us what we all know – NetEnt is intent on producing top quality games and pushing the online gaming boundaries. NetEnt employs a strict policy that they want their players to have fun when playing. This means that the company takes responsible gaming very seriously so that legal players can enjoy a safe, fun environment in which to play. To this end, and in keeping with the various jurisdictions where NetEnt is licensed, there is an 18+ age limit set for all the games with the exception of casinos in the US where the legal age for gambling is 21. Also in an effort to keep gaming fun for everyone, NetEnt is very supportive of systems that aim to keep players gaming responsibly and fairly. In order to meet their licensing requirements, NetEnt undergoes regular third-party auditing. Including from the well-known and highly reputable eCOGRA, Gaming Laboratories International, iTech Labs and the Technical Services Bureau. They also offer a range of tools that are for player protection. Which include self-exclusion options, play limits, reality checks to alert players as to how long they have been playing, game speed and even a visible clock so that players do not get lost in the game. In addition, NetEnt donates to research dedicated to the prevention and treatment of gambling problems as part of its support of the GambleAware organisation in the UK. NetEnt’s dedication to providing nothing but the best player experience has put it up there among the best. It is constantly striving to better itself, offering new and ever-more exciting gaming options. The development of the mobile platform makes NetEnt games some of the easiest to access outside the home. And the continual improvement of the live casino platform makes this a provider one to watch. Offering an incredibly safe playing environment, coupled with lots of bonuses, NetEnt games are sure-fire winners in more ways than one – players would do well to find a NetEnt operated casino and settle in.